We all know that Etsy shops are my weakness but the moment I saw the phone cases from Personalize 4 You I knew there would be trouble! All of the cases are so precious and very very preppy! I am in love with the cases I have and they are the perfect compliment to any outfit while still serving the purpose of protection. I now have phone cases that will match any of my Lilly and I love the way the personalization looks! 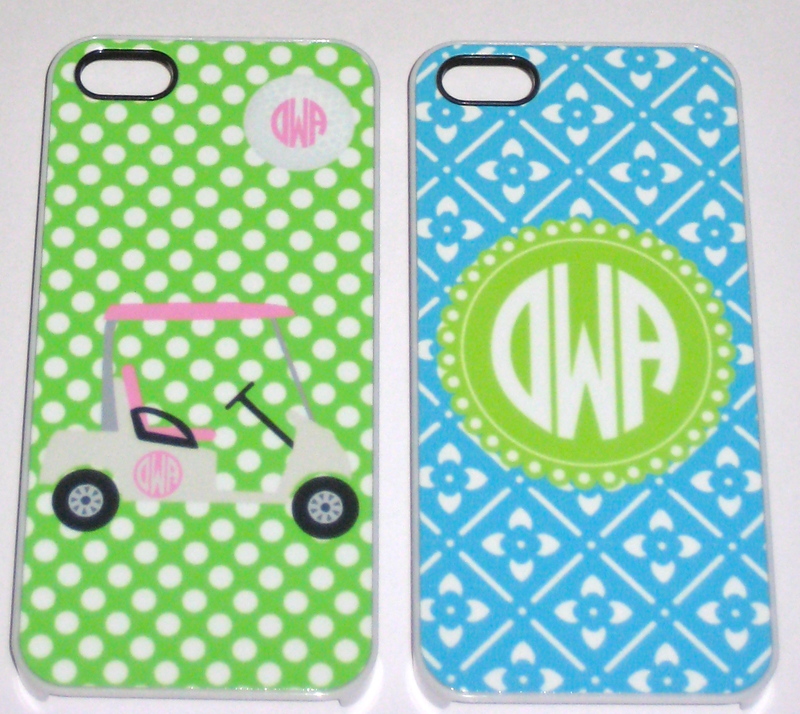 The first case I chose was the Personalized Golf Cart and Ball Case in Pink and Green. I don't even play golf but knew that this case was one I had to have! It has not one but two monograms on it and words don't describe how adorable this case is! I put it on my phone the other day and received tons of compliments! 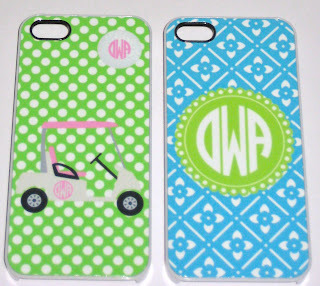 How could you not love a polka dotted green background with a pink monogrammed golf cart? The second case I chose was a bit simpler but cute nonetheless! This case is blue and green with a fun printed background and a large monogram. The colors are so springy and cute and it will be the perfect case to use all year long! The border around the monogram is especially cute since it looks like a scalloped circle! What could make this shop even better you may ask? Well, not only do they sell phone cases but also awesome gifts like buckets, memo boards and frames, and tumblers! Go check out Personalize4You and tell me which case you love! The creation of customized diamond fake cartier watches tend to be aftermarket services that will involve the modification of one's already great watch to help expand enhance its visual properties. Luxury fake hublot watch adjustment is widely practiced in the present watch industry. You will simply find experts that could leave people with such types of fake tag heuer watches that you should love and delight in. The dazzling beauty of a diamond rolex replica watch sets it apart from other watches and makes it a worthy treasure to observe. If you are craving to be the proud owner of a high-quality diamond fake cartier watch, you must turn your attention towards important aspects to cut a good deal in the process.